Jane Colden’s work had a significant impact upon the field of botanic taxonomy as it was developing, In terms of her impacts internationally, she received more fame from other parts of Europe that she did from the British and American scientists she was in steady contact with. This reasons for this lack of a documented effect on the non-Anglican countries are uncertain, but may have at least in part related to her family’s Loyalist history and the impact the Revolutionary War had upon the local respect for British history. The same may have taken place in the reverse direction as well. To the British, even though the Coldens were Loyalists, Cadwallader had made some decisions which the British were not much in favor of during his latter years as a politician. This along with the fact that his daughter was receiving more attention from Swedish and German scientific communities kind of left the British with little to claim in their competition for acknowledgements related to Jenny’s international fame. Several decades would pass before Jenny’s actual work fell ultimately into British hands, this only after the importance of Jenny’s actions as a scientist and a woman had provided her family in American with international fame, but no fame to her family’s Scottish and British heritage. In spite of all of these hardships the Colden family’s claims experienced during this period in American and Science history, the fact that both Cadwallader and Jane Colden significantly impacted these fields ultimately gave many countries enough to be proud about in relation to the rapidly growing field in natural history with American influences. Jane Colden’s work ultimately had several impacts upon American culture both directly and indirectly worth mentioning, beginning with the value of her work as a botanist. The indirect influences Jane Colden had on American botany took place in the form of scholarly work following her production of a manuscript or scholarly collections of notes and drawings entitled Flora of New York or Nova-boracensis. This manuscript was perused by several very important scholars in the field, perhaps one of the more important of whom to mention is a German medical botanist who served as a physician in Fishkill during the American Revolutionary War. 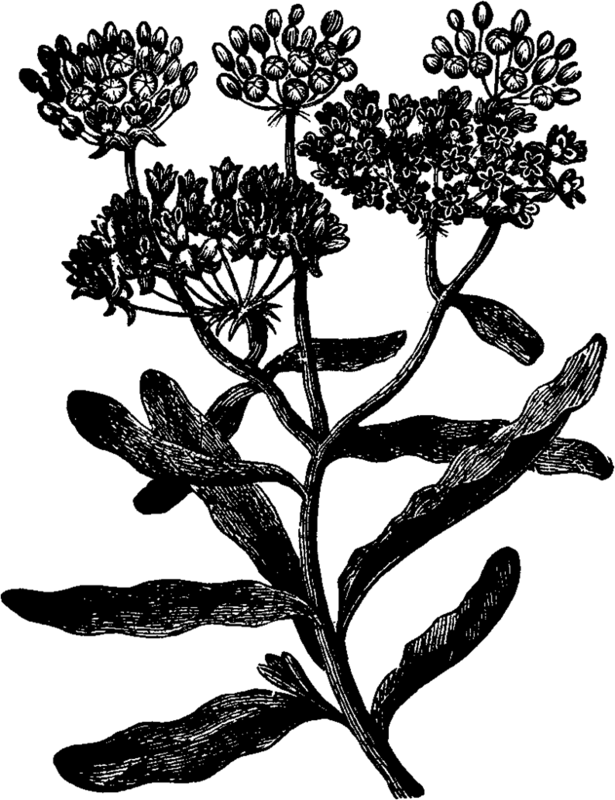 Jane’s work introduced to its researchers at the time a total of approximately 350 to 400 plants, of which just a few were inferred by local name or noted for their use as medicines. According to past writer of her work, many of the pages in her collection are blank except for the plant name entered as a title and in some cases a little of the descriptive materials provided in the appropriate places. Based on her personal history, and her marriage five years into this work, for unfortunate reasons, perhaps medical, Jenny simply ran out of time and was unable to complete the line drawings that these documents were prepared for. A number of leaf drawings were produced by Jenny, and can on occasion be found on the web here and there. The bulk of the completed herbarium papers were used to produce her book, so noted with the above title page for an item produced by the local Orange and Dutchess Counties Garden Club. Jane produced this collection at a time just before botanical medicine, in particular American botanical medicine, was about to undergo a significant amount of growth. Between 1800 and 1845, nearly all plants that could be found in previously undiscovered regions and countries were evaluated for their potential applications to medicine. These plants were tested both as a generally-speaking non-toxic medicine such as for its domestic, folklorish, or generalized uses such as tonics, laxatives and the likes, whereas others scientists were searching for plants with unique and fairly specific toxic effects as medicines, a consequence mostly of the discovery of Foxglove as a specific for the heart that worked in exceptionally small amounts, but also the result of a build up of knowledge pertaining to similar features for such medicines as Jimsonweed, Opium, Coca leaf, Caffea (coffee), Ipecac, Belladonna (Atropa), Henbane, etcetera. This growing interest in these two forms of plant medicines meant that all botanical writings at the time were up for inspection by individuals devoted to botanical medicine or medical botany. Jenny provided these scientists and clinicians with her own observations and hearsay-based discoveries regarding their local potential for use as medicines. Like other medical botanists, this information was of considerable service to the profession as a whole, especially in Eastern Europe around Prussia and one or two countries in Western Europe. Whereas Jenny’s fate was unlike that of her father Cadwallader, whose plant studies became a part of the Linnean collection and played a role in the earliest decades of this work, Jenny’s history took a different route in medical history. Jenny is acknowledged as one of the earliest examples of a female botanist, medical botanist, or better yet, highly skilled plant illustrator, artist and local cultural and medical anthropologist or ethnobotanist. The following plants noted by Jenny are defined in her work as medicinal, in which she provided descriptions of their applications and/or potentials for use as medicines. In some cases, these uses are implied by the name, such as American Ipecac, or the generic description for their use, for example a substitute for Bohea Tea. Several of these ethnomedical descriptions take on the form seen with other medical botany writers for the time. They provide us first with a cultural piece of information about the use, followed by a description of the medical use itself. Therefore, Jenny’s notes have a fairly personal connotation included in their meaning, such as her explanation of a local British use for the plant, those plants favored by African Americans residing or serving in a nearby homestead, the local Iroquois or Mohecan methods for use, and the traditional Hudsonian point of view of the value of a particular plant–a point of view that is very much a conglomeration of Dutch, English, French, Moravian, Huguenot, Palatine, or even Native American philosophy. This information should also be reviewed and used to better produce and understand a general picture about how many of Jane’s observations and findings were experiences of other nearby pioneer families as well. It is important to understand that Jane’s work is pretty much a stand-alone and not a copy of any previously published or written medical botany and ethnobotany work produced by earlier writers. This was a common feature of many past recipe and botanical journals and notebooks uncovered over the years. This work was not the result of Jane simply taking a class or reading a book and then jotting down these notes. This manuscript is a result of her own work, slightly modified perhaps by two of its three successive owners. Goldthread (Coptis sp.) Fibraureus according to Jenny, Coldenella suggested by Ellis. 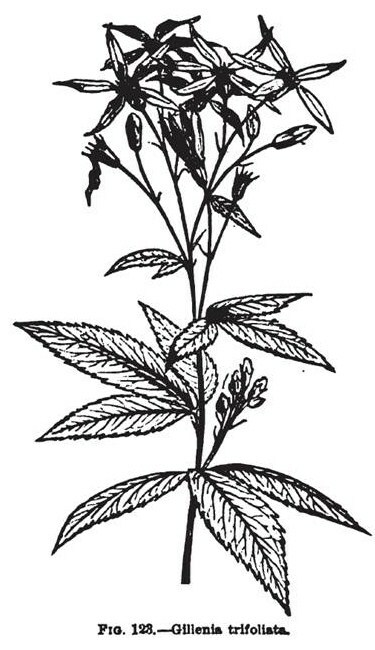 There was a unique fascination the colonists had about Snakeroot medicines. 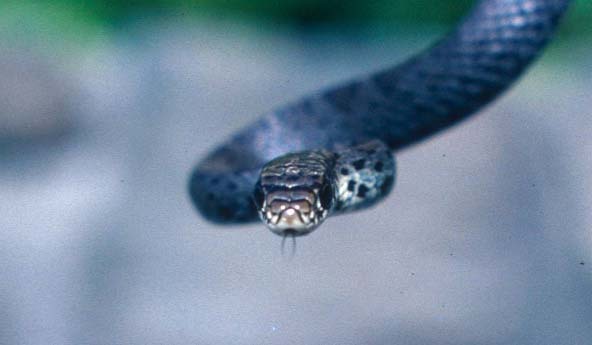 The knowledge of these medicines, and the use of ‘snake’ or some other word referring to snake venom as part of a plant’s common name history, is ancient. A number of plants from India for example were very much associated with being able to alleviate the victim of the venomous bite of an asp or adder’s tongue. The first contacts with Native American groups resulting in the documentation of similar claims to herbal medicine was not an event lacking in any predefined history regarding how the explorers and scientists would interpret and study this possible use for a plant. The explorers and scientists who learned about Snakeroot medicines were as much curious about the reasons for this naming of a plant as they were about their own method of how in turn they were going to try to make sense of this ideology in Western European or “traditional” Old World terms. During the 1500s and 1600s, another feature of human philosophy and psychology playing into this fascination with snakeroot remedies was the state of the natural philosophy beliefs for the time. Natural philosophy was the avenue taken by intellectuals to try to define an otherwise undefinable phenomenon commonly seen in nature. The nature of lightning and its ability to take life, the ability of a small animal like a scorpion to pierce the skin and result in death, or a tarantula bite to result in convulsions and then death, were all phenomena that scientists, often doubling as philosophers, tried to relate to each other by way of natural philosophy. This discipline even took a more effective turn in science when Isaac Newton published his claims about universal forces or the signs thereof, such as gravity, light, magnetism, and motion. These energy-related events could in turn be related to the human body and its unique physiological features, and the different types of energies or forces referred to by Newton be used to come up with very personal theories about such phenomena using these to explain why a snake could suspend the ability of its prey to run away, or the tendency fora tiger to stare in another animals eyes and before making it the next dinner. To natural philosophers and physicians, this phenomenon became known as animal magnetism, and was the first step in developing the theory of mesmerism, the ability fo distant forces to effect a living being. Relating all of this back to plant medicines, it was commonly believed that some plant medicines were designed by the Creator to help resolve these natural philosophy problems. Every now and then they were expected to arise and become a survival issue or health risk. To Native Americans, the risk was primary due to the venomous snake, and the ability of the snake to bite you, cause your skin to change in color, and in some cases even make you look as though you was developing much the same appearance at the skin level like the snake itself. Other philosophies touting similar changes due to some form of “spirit invasion”, resulting in a variety of sign and symptoms indicative of what was causing the problem–“the invasion of the animal spirit” or the invasion of manitou. In Native American culture, it was commonly believed and taught that each ecological setting or area had a medicine to help treat this kind of problem. As a child you were taught to learn to recognize and understand these natural remedies, and be able to identify based on some signature or appearance they were made to bear. As you travelled from one territory to the next in the natural setting, it was up to you to learn which of the local remedies were designed to deal with such a crisis. And according to Native tradition, these remedies were numerous. Fortunately, the Creator provided those who believed in this philosophy a unique way to identify those special cures for snake bites for each remedy that was out there. These plants had specific parts that took on the appearance of the animal in question. These physiognomics and Aristotle termed them, phytognomics as Giambattista Porta termed them, or ‘signatures’ as many post-16th century European botanists termed them, included rhizomes and other roots in some cases, flowerheads with stamens that appeared like a forked snake’s tongue in others, mottled patterns on the leaves that resembled the design of the local predators on still other examples, or a part colored deep red like the color of blood oozing and sometimes discoloring as it made its way out of the wound, to name a few. For this reason, one of the primary goals of learning colonial and early post-colonial medicine has to be understanding the underlying social reasons, philosophy and transformations that take place with these philosophies as their words, and sometimes manner of reasoning and meaning, get transferred from one social group to the next, or one generation of scientists and medical botanists to the next. Linne’s work on Snakebite remedies is in part the result of his own fascination with the belief itself, not so much whether or not it was correct. Few people are taught about Linne’s complete history as a taxonomist in botany. He not only worked as a taxonomist in botany, but also tried to related every other living and non-living major type of entity to one another through a form of classification much like the methods he applied to plants and animals. His most influential example of this work was his attempt to categorize, classify and correlated gems, minerals and the like. He also produced some systems used to group and classify medicines themselves, such as plant medicines as an entity distinct from the plant itself, and he tried to classify types of medicines into obvious chemically-defined groups–such as tincture, decoction, syrups, etc. What is not really retold that well about Linne’s history is that he taught medicine, specializing in plant medicine, but also mineral remedies, and as a teacher on this topic, wrote a number of very important treatises on medicine and plants. The history, folklore and phenomenon associated with the Snakebite remedy was very much one of the most important of these topics, one of the few that he produced a complete treatise on and covered the varieties of examples of, be they Eurasian or New World in origin. Jane’s basic note about the local Snake remedy Polygala senega in New York, in combination with her father’s note about Black Snakeroot in his own two-part treatise a couple of years earlier, preceded by an important mid-Atlantic piece of history about the Virginia Snakeroot (Aristolochia serpentaria) as a snake cure, really made this an important topic he felt he had to pursue, and so he did. Linne’s treatise on this topic focuses on John Tennant’s Virginia Snakeroot (Aristolochia spp.) first written about around 1735. Linne does a complete review of this particular genus and its varieties throughout the three Americas as he defined them–south, middle and north. Colden’s Black Snakeroot (Caulophyllum sp. ), Jane’s Polygala (actually documented by another botanists several years earlier), and several other New England Snakeroot plants (i.e. Wild Ginger, Asarum canadensis) were all reviewed in this work. 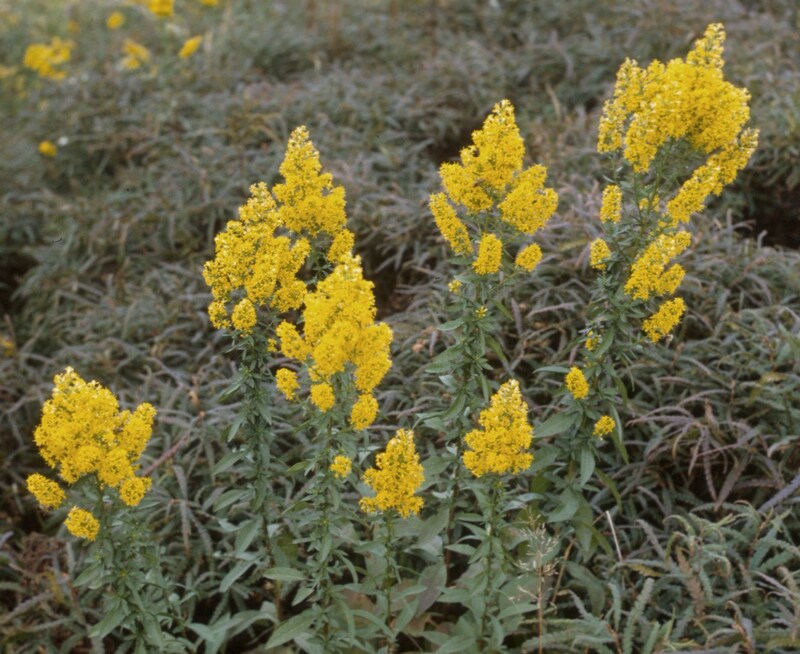 Jenny gave this herb the Latin genus name Fibraurea for golden fiber, used to describe its very thin and golden-looking roots once they are cleaned. Little did we know that this plant was already documented and described by other Linnaean botanists, and so Jenny’s name never became published, even as a temporary name assigned to this particular plant. Her attempt to define her own name for this plant was perhaps taken in passing at first by her professional fans like Alexander Garden and William Bartram. But with time, we find Jenny’s repeated attempts to make a discovery of a new plant to be somewhat frustrating perhaps, not just to Jenny or her father, but to her followers as well. Another way in which the phytognomonics could be read on this plant was by the thready or filamentous nature of its roots. This feature was defined earlier by Porta as a signature for the treatment of one or more body parts of similar appearance. To Porta, the first part of the body to be related to this structure was hair, but the color better suggested to many the small blood vessels in the body (and later the capillaries for those with magnifying lenses). This phytognomics feature suggested blood vessels, narrowed or small, with yellow bile being a chief feature of the symptoms of the illness to be treated. One might expect this sort of remedy to, by natural design, be used to treat jaundiced conditions of the body in which small vessels protrude or are noted such as varicose veins or hemangioma-like symptoms in the skin. Both are general symptoms of a variety of condition dealing with blood flow disturbances, but the hemangioma may also represent a sign of long-term heart disease such as congestive heart failure (namely severe edema in colonial medicine, and perhaps ascites). In a natural theological sense of plants (which Jenny may have noticed but kept to herself) the three-leaf form of each stem of this plant had its own meaning as well. This three-leaf aspect of herbal medicines is also present in other medicinal herbs, sich as Jack-in-the-pulpit, the various clovers, oxalis, and even Sassafras, but, with the exception of Sassafras, the emphasis on this natural sign of the trinity is not commonly referred to by most botanists. Such a source for the particular claim to fame for each plant with this signed would be most openly suggested by travelling missionaries and religious leaders taking a tour through unexplored Native territories. Just how frequently the local American or Indian Ipecac was used is uncertain. This plant has limited representation in the early medical botany literature for the time, and would not show definitive signs of utilization by physicians until at least the 1820s or 1830s in American professional and alternative medicine guides and textbooks. By the 1850s, many of the plant uses still recommended by traditional herbalists come from books published since this period, due to the standardization of the binomial naming system.